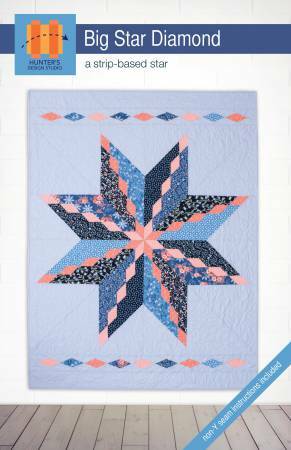 This dramatic single star can be made from strips or yardage. All straight cutting directions with no templates needed to make both the star and diamond borders. Instructions are included for both y-seam and non-y-seam construction methods. Quilt Size: approx 52in x 68in. Uses Maywood Roses on the Vine Collection.